There is no evidence that a controversial mercury-based vaccine preservative causes autism, concludes an eagerly anticipated scientific review that says it's time to lay vaccine suspicions to rest and find the real culprit. Tuesday's conclusion by the prestigious Institute of Medicine was a blow to parents of autistic children who blame vaccination for the brain disorder and are pushing for more research of the issue. But the Institute of Medicine's panel of prominent scientists pointed to five large studies, here and in Denmark, Sweden and Britain that tracked thousands of children since 2001 and found no association between autism and thimerosal. While high doses of mercury can cause neurologic damage, there's no evidence that this type of damage causes the symptoms specific to autism -- and no laboratory or animal research that proves how the much smaller amounts in thimerosal could do so, either, the IOM concluded. On the other hand, genetics plays a role in autism, and several studies show clear signs of prenatal onset of the disorder, including brain differences at birth, the report notes. "Don't misunderstand: The committee members are fully aware that this is a very horrible and devastating condition," said Dr. Marie McCormick, a Harvard professor of maternal and child health who led the IOM probe. "It's important to get to the root of what's happening." But, "there seem to be lots of opportunities for research that would be more productive" than continuing the vaccine hunt. Autism is a complex developmental disorder best known for impairing a child's ability to communicate and interact with others. Recent data suggest a 10-fold increase in autism rates over the last decade, although it's not clear how much of the apparent surge reflects better diagnosis and how much is a true rise. Thimerosal has been used as a pharmaceutical preservative since the 1930s. Although the amount of mercury it contains is very small, in 1999 public health officials ordered manufacturers to phase thimerosal out of common vaccines, from hepatitis to diphtheria, as a precaution, saying small infants had begun getting so many immunizations that they might get too much of the chemical. Today it's all but gone. There is a notable exception -- flu shots. The CDC just added influenza to the list of shots for babies, and most flu shots still contain mercury. Thimerosal critics, who had derived hope from a 2001 Institute of Medicine review that called the potential link unproven but medically plausible, were disappointed by Tuesday's reconsideration. "The science is still out, the verdict is still out," said Lyn Redwood, president of the SafeMinds activist group and mother of an autistic son. "They've just set us back five years in terms of getting more science." Some parents argue that children may be born genetically susceptible to autism and some environmental factor, such as thimerosal, triggers it. 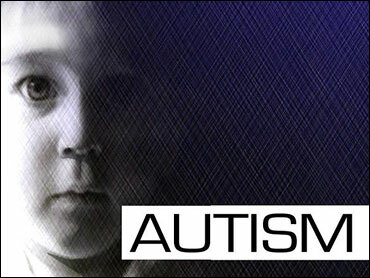 Jennifer Lassiter has a daughter with autism, reports CBS News Correspondent Sharyl Attkisson. Katelyn, a bright 8-year-old, cannot connect with the world. Lassiter said Katelyn was a happy normal, babbling baby until getting her shots when she was 15-months-old. "She got her vaccinations, she ran a low grade fever," she told Attkisson. "She had a little rash and then she stopped talking." Her parents didn't connect the dots until they needed her shot records for preschool. Her doctor had misplaced them, so just gave her another round. Afterwards, "she was walking in circles, she was lining things up, screeching and flapping," Lassiter said. U.S. Rep. Dave Weldon, R-Fla., is a doctor who has proposed a bill banning just about all mercury in vaccines. "The safety of thimeresol, which was the mercury product in the vaccines, has not been demonstrated. And actually a lot of the press reporting on this issue has been inaccurate,'' said Weldon. Katelyn's parents support vaccines but not the mercury -- with their daughter unable to have a normal life, they ask how can it be wrong to err on the side of caution?